I love baking at Christmas time! I went just a little over the top for our Ward Christmas Party this year. I had so many ideas in my head that just needed to get out, if only I had more time! 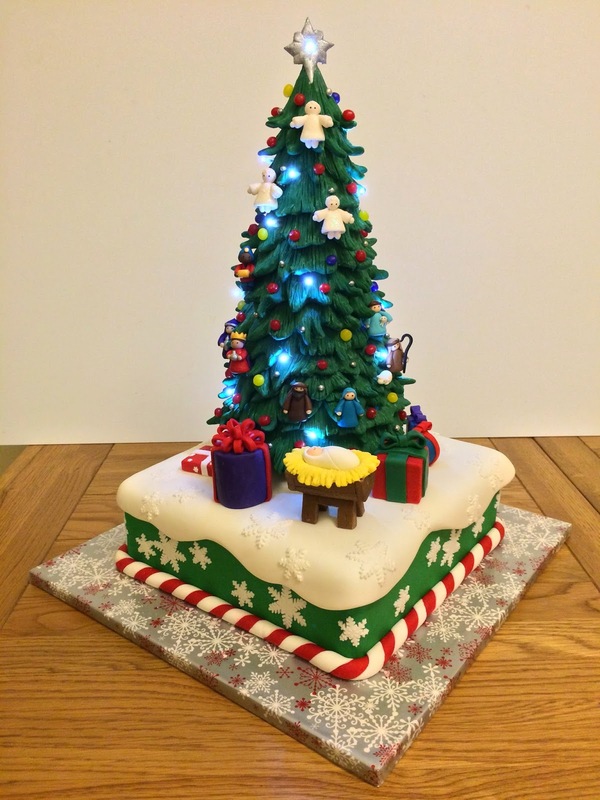 The main cake is traditional fruit cake (without the alcohol), and the tree is filled with cereal treats. 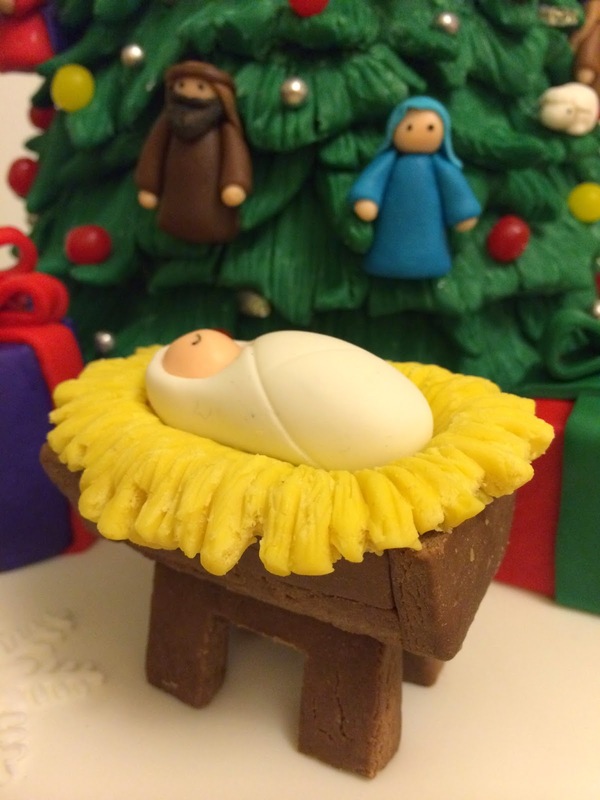 All the decorations are modelled from modelling chocolate, except for the white, which is fondant. I also used a small set of battery powered led lights to add a bit of drama. 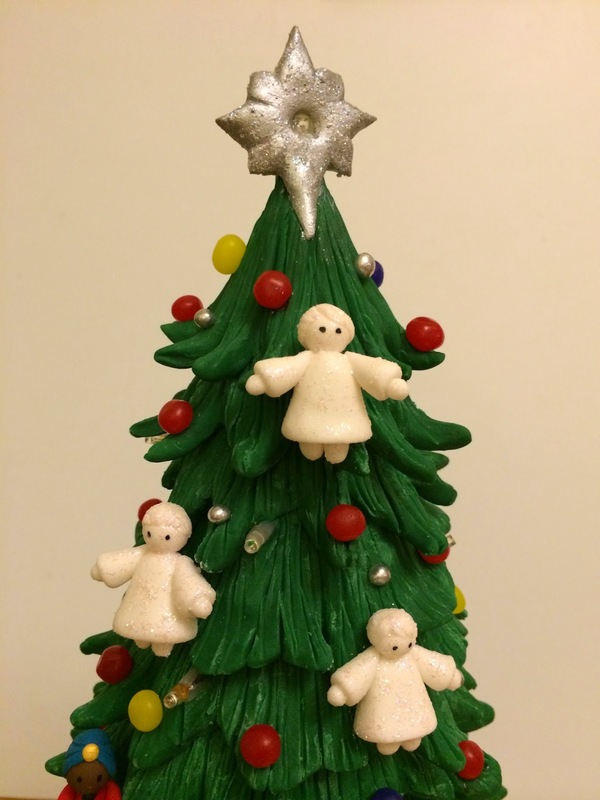 My idea was to portray Christ as one of the gifts under the tree, since He is the greatest gift we have been given. 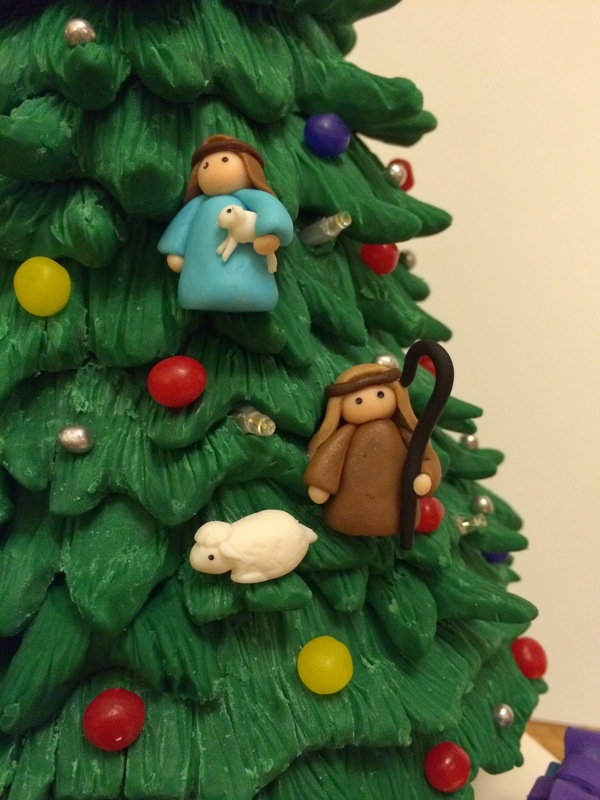 All the rest of the characters from the nativity appear as ornaments on the tree. I created the seal on my cake using a personalised stamp that I bought from The Cupcake Company. 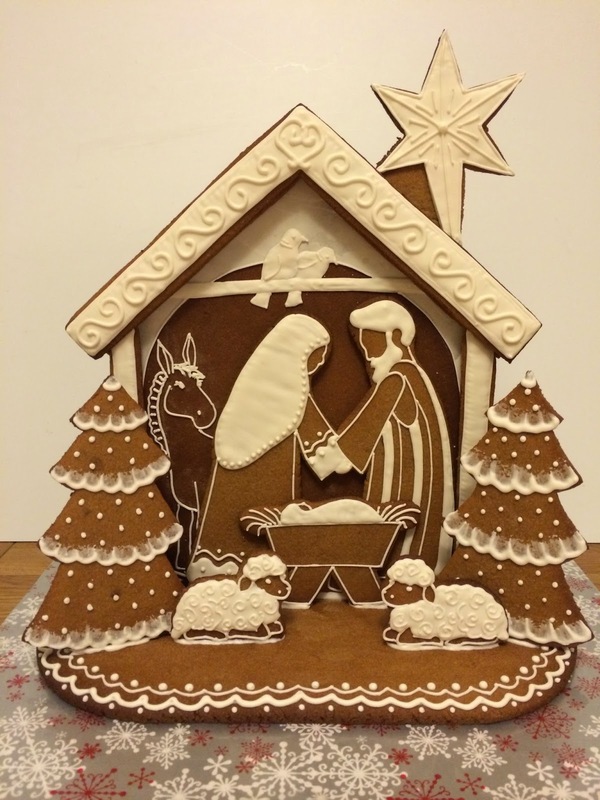 My next project was a gingerbread nativity scene. I was going to make a gingerbread house, but decided to keep that for my family Christmas, and do something a bit different for a change. 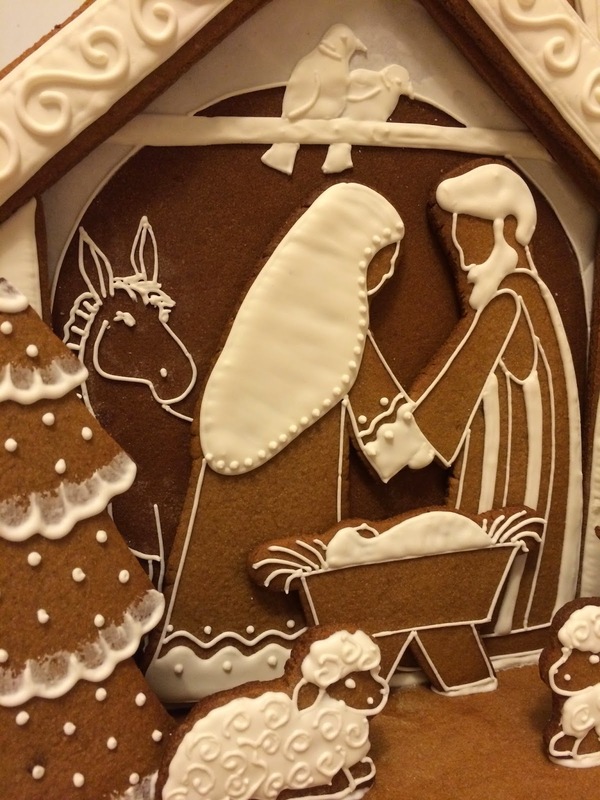 It is made up of various layers of gingerbread decorated, and glued together, with royal icing. If you would like to make this yourself, I have shared my pattern and a tutorial here. 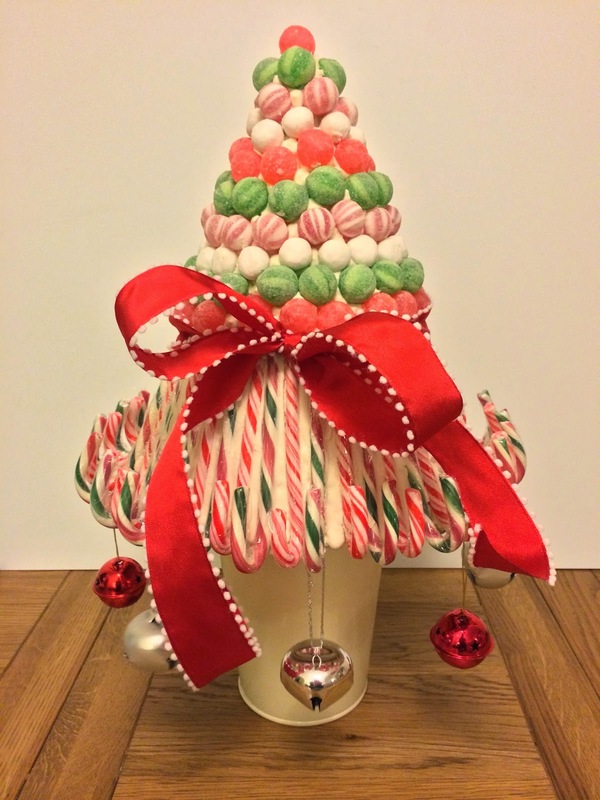 Next up is a candy tree, something I have wanted to make for a couple of year and finally got round to making a reality. People loved it so much they refused to pick the candy off of it and eat it! And last but not least was my Santa's Grotto. I styled it as a gingerbread house, and covered it in gingerbread men and candy canes that the children could pull off and eat (each gingerbread man is wrapped in a cellophane bag). 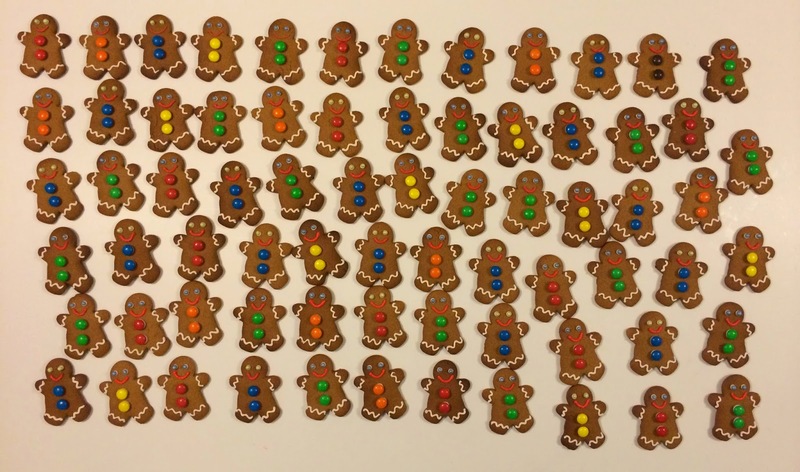 Needless to say, I had to bake a lot of gingerbread men! All in all, I had a fabulous time. Merry Christmas everyone!! I did design it myself. 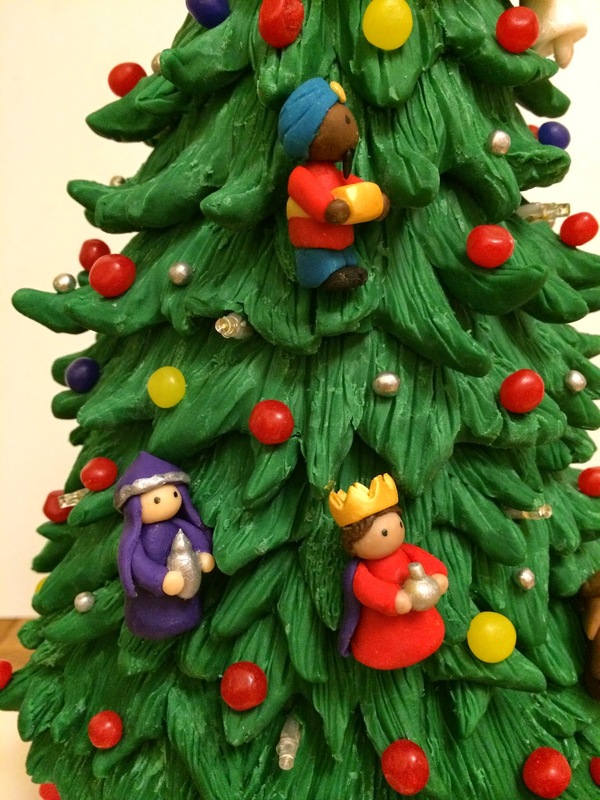 I constructed a cone for the tree using Rice Krispy Treats, then covered it with green modelling chocolate. I then placed the led lights on to it, then covered with pieces of green modelling chocolate which I texturised to make look like fir boughs. I made a solid modelling chocolate base/trunk for the tree, and made a few gifts the same height as the trunk so that they would also support the tree. 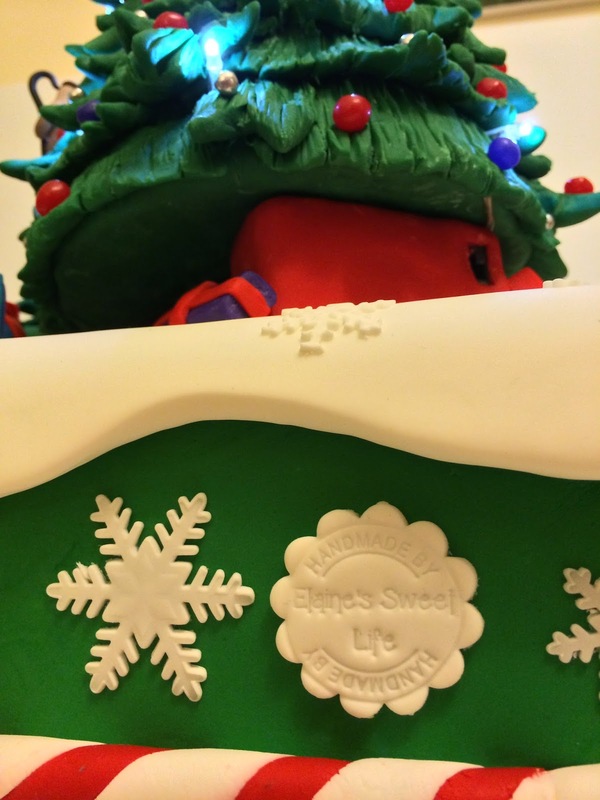 I placed dowels in the cake, under the trunk and gifts to support the weight of the tree. I have shared my recipe for making modelling chocolate, and some tips for working with it here: http://blog.elainessweetlife.com/2014/11/modelling-chocolate-recipe-tutorial.html?showComment=1415911115517#c7661588377777525128. One of the gifts under the tree hides the battery box for the string of LED lights (I made sure I put fresh new batteries into it before I covered it in modelling chocolate). All the little figurines were made of modelling chocolate too. 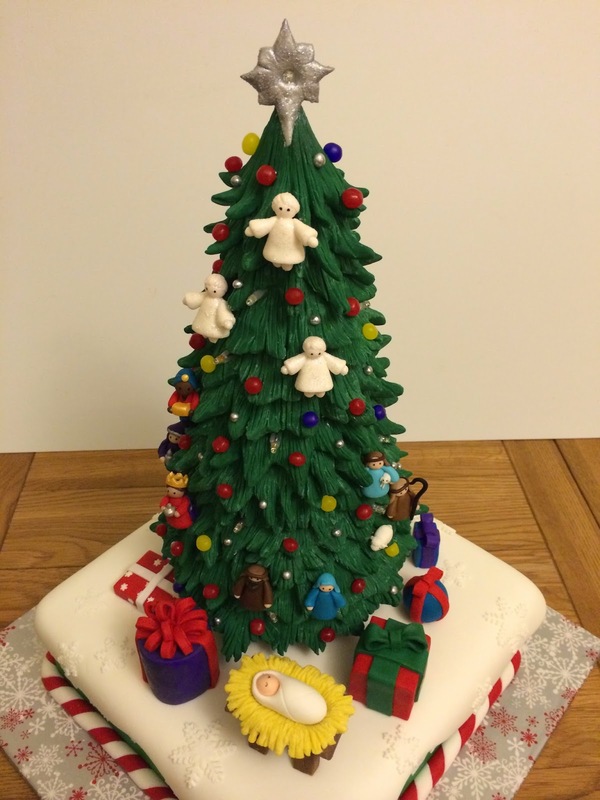 I will share my Christmas Cake recipe as a separate blog post this week. It is one that doesn't use any alcohol at all and doesn't need to be fed. Just make and decorate as you would any other cake. It does last a few weeks, so it can be made a little ahead of time, it is actually best eaten about a week after baking. I would love to see your finished cake!